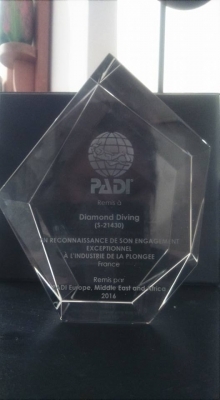 Diamond Diving is an Award winning PADI 5* IDC Resort. We are located in Golfe Juan on the iconic Cote d’Azur (South of France) between Antibes Juan Les Pins and Cannes. The dive centre is just half an hour from Nice Airport. Our maximum capacity is sixteen divers and we operate two 6.5 metre RIBS. We are proud to be an Aqualung partner centre and run a small PROSHOP supplying the entire Aqualung, Apeks and Omer product ranges. Our core values are centred around teamwork, mutual respect, customer service, quality of teaching and passion for the marine environment. Our client base is diverse both culturally and internationally. Courses and briefings are conducted in both English and French. 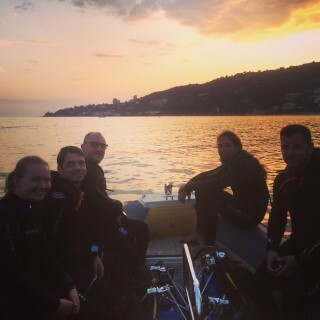 We have a small number of places available during the 2019 season for motivated individuals looking to develop a solid foundation for a future career in the dive industry. You will integrate within our small team for a period of two to three months between May and September. There is a small fee to cover teaching materials and your PADI membership application. You will also need to budget for living expenses during your time with us. Our Course Director Alex will be on hand on a permanent basis to provide advice and guidance in your development, in conjunction with our Instructor team. For exceptional individuals there is the possibility to extend your time with us to a second season and progress towards your PADI Instructor rating. Bilitis, Seiche St Pierre, Seiche St Pierre Avancée, Le Masque, Le Robuste 2, Sec A Pierre, Les Deux Chariots, Cap Gros and Pequerolles. As usual these will involve a double tank dive with a Lebanese picnic lunch supplied by us and included in the supplement of €20. Either two dives around the islands with a picnic on St Honorat or two dives further around the Cap with lunch on the boat. The tried, tested and very much enjoyed formula of first dive on Les Peniches d’Antheor and the second on Les Pyramides. Two excellent dive sites. Lunch at a restaurant at The Port of Boulouris where we get tanks filled by our friends at EuroPlongée. Fuel supplement of €20, plus budget for lunch. GIRL DIVE POWER! Further to our successful participation in this event last year we’ll be doing it again! 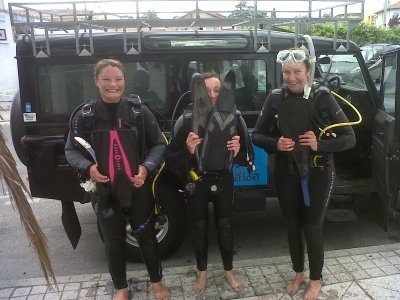 We’ve always been a particularly girl friendly dive centre and we’re quite rightly proud of that. So ladies get a €15 discount per dive plus a complementary aperitif and gift from us and PADI. Please reserve in advance! Further to the popularity of the end of season night dive programme last year we’re initially proposing four dates, there will be more if demand dictates! There is also the possibility to sign up for the PADI Night Diver Specialty meaning you make three of the four of these dives. An opportunity to come and protect the marine environment through a free clean up dive followed by a set menu at Gigi’s to mark the end of another season. Good fun guaranteed for all! We have a number of places for individuals seeking to develop a career in the dive industry for the forthcoming season between June and September. 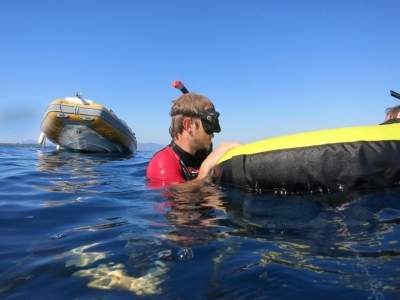 You will be implicated in a programme taking you up to Dive Master during a long term course, in a small team including a Master Instructor and Course Director. The minimum period of time needed for this intensive training is two months. 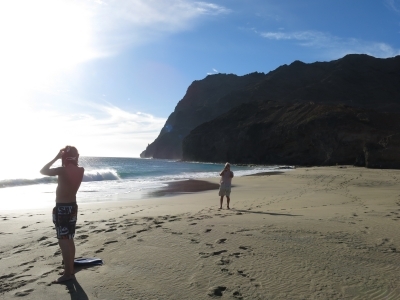 Ideal minimum prerequisites are 25 logged dives and Advanced Open Water. Please contact Alex on +33(0)615305223 or info@diamonddiving.net for more information. Fresh back from the 2018 Paris dive-show, here is the latest news for the beginning of 2018. We’re happy to extend our partnership with Jean-Francois André of HippoConsulting (PADI Rebreather Instructor Trainer (Submatix)) who will be running a PADI Tec CCR 40 course with us over the following weekends in April. 7/8, 14/15, 21/22. 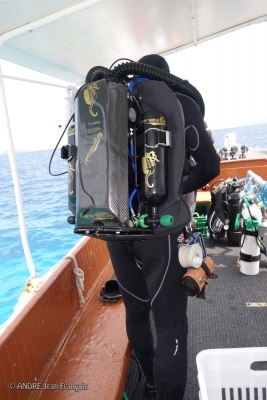 There will also be the opportunity to do either a half day or full day Rebreather Try Dive. To be repeated in September according to demand. Further to the success of our Cap Vert trip last November we will soon release details of a Red Sea Liveaboard, specific dates to be confirmed, but scheduled for November 2018. 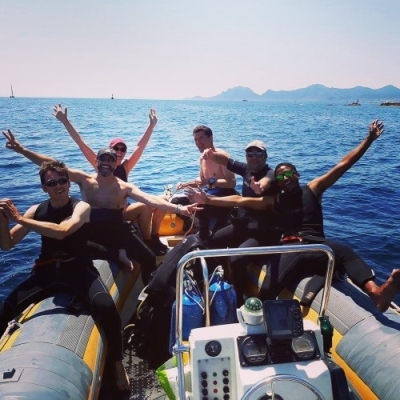 We have a full calendar of Instructor Development Courses running this year and will also be supplementing this with two Intensive 10 day DiveMaster courses. These will run from 14th to 23rd April and 6th to 15th October inclusive. Following the installation of a new Yamaha 150CV outboard on Nounou, our BWA RIB in September 2017, Blue Diamond will fully refreshed for 2018 with new tubes and a new engine. We’re looking forwards to seeing you all soon. On the 13th May we’re running an Open Day plus Evening Social with the opportunity to try two high end aspirational pieces of equipment. This is on a first come, first served basis. Boat spaces will be charged €25 as opposed to normal dive rates to cover costs for the day. Please register your interest as early as possible to avoid disappointment, specifying which product, and morning, afternoon or both. Firstly we’ll be offering our clients the opportunity to try the Aqualung Fusion Dry-Suit range and secondly one of the full face masks from the Ocean Reef product range, together with the Ocean Reef full face Aria snorkels. The total capacity for the day is twelve people trying the Ocean Reef Full Face Masks and eight people trying the Aqualung Fusion DrySuit. It is possible to do one in the morning and one in the afternoon but not both at the same time. 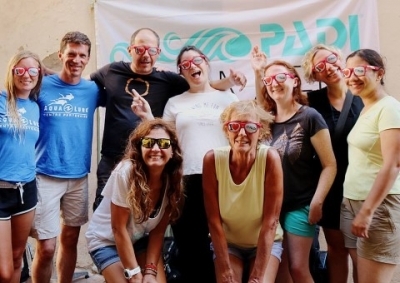 At the end of the day at around 6.00pm there will be a presentation from Martial Warnier de Wailly, the Regional Manager for PADI in France. We’re very lucky to have Martial attending and he will be talking about the advantages of the PADI app for tablets and smartphones, Ocean Reef Full Face Mask Specialty and a little bit about the opportunities to become a professional in the PADI system, followed by drinks and an aperitif. Everyone is welcome for the evening event which will be another opportunity to socialize and get to know new dive buddies. Feel free to invite keen prospective divers! Happy New Year and our very best wishes for a great 2017 to all of you! Within this schedule we will be conducting Emergency First Response Instructor Courses and Specialty Instructor Training. Please call or e-mail for a chat and advice on your goals for becoming a PADI Instructor! All of the courses can be taught in both French and English, or a combination of the two. And now for something a little bit different! 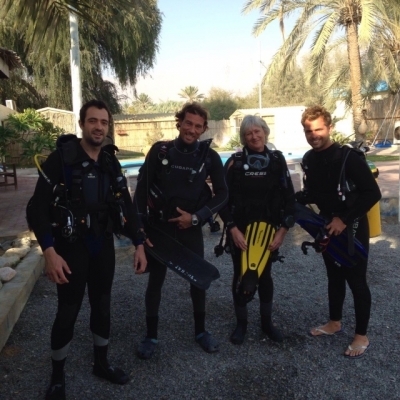 And now for something a little bit different: late August, September and October dive schedule! Reserved for clients with Advanced and Deep Specialty. Weather allowing we will target sites that we dive less frequently such as Dromadaire to Enfer, Sec A Pierre, Masque, Deux Chariots, Seiche St Pierre Avancee. Deep Specialty can be organised for those that do not yet have it over these dates. Another good reason to invest in a lamp! 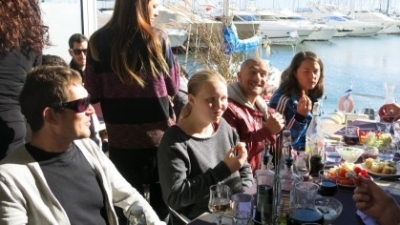 Two dives around Les Iles de Lerins with lunch on St Honorat in between. We will be organising a group rate to eat a set menu at La Tonnelle restaurant if both days have at least six clients who reserve. 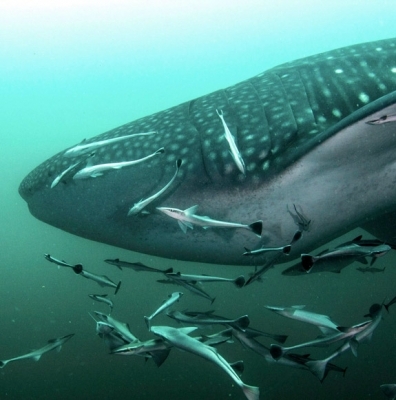 One dive on Les Peniches d’Antheor and one dive on Les Pyramides off L’Ile d’Or. Stop for lunch at Port de Boulouris in a local restaurant. All of these dates are subject to the usual conditions regarding weather and we reserve the right to amend dates if necessary for your safety, comfort and enjoyment. All reservations by first come first served confirmation. Any cancellations or changes within 72 hours of the date will forfeit one of two dives from their dive pack or a 50% deposit payable up front. 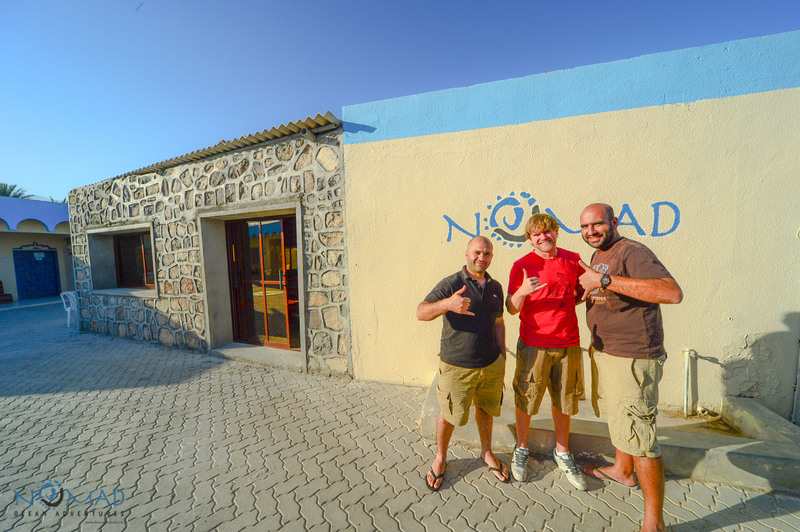 Become a PADI DiveMaster in 2016 ! 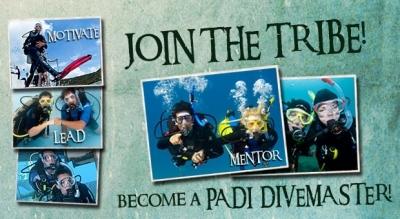 PADI DiveMaster : Looking for a challenge this year ? Look no further than the adventure, opportunity and privilege of becoming an entry level PADI Professional with us in the South of France ! 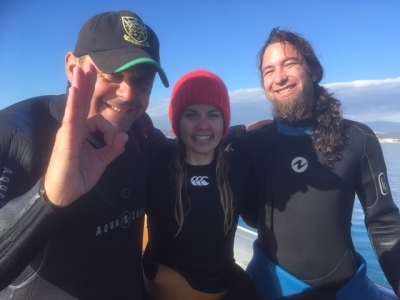 Often we train people up over six week full time internships, but for those that are time poor due to professional and other commitments we are running two ten day intensive PADI DiveMaster courses. The dates are the 5th to the 15th of May inclusive and the 11th to the 20th of November inclusive. You will be trained to the usual high standards that we insist on by Alex and Noemie, providing excellent preparation for those considering going on to do their Instructor Development Courses. The price is €1285 per person including all study materials (Crewpack), all diving costs and equipment hire if necessary. We’re offering an early booking discount of 10% for those able to confirm before the end of January. During the course you will become familiar with the PADI system and develop professional level dive theory and physical. You will also develop excellent skill demonstrations, assist on client training courses and much much more.